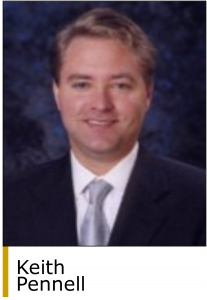 DFW Capital Partners has held an oversubscribed first and final closing of its sixth fund, DFW Capital Partners VI LP, at the fund’s hard cap of $500 million. The new fund saw an increase in participation from DFW’s existing limited partners and added several new institutional investors as well. Fund VI follows the firm’s earlier fund which closed in April 2016 with $360 million of commitments. DFW now manages in excess of $1 billion in assets. DFW invests in service companies, with an emphasis on healthcare and outsourced business and industrial support services, that have revenues of $20 million to $150 million and EBITDA of $5 million to $15 million. DFW typically invests from $20 million to $75 million of capital in each of its platform acquisitions but can lead larger deals with the support of its institutional co-investors. Fund VI has not made any platform investments yet but is actively looking for its first platform. Fund V acquired its last platform in March 2019 with the buy of Sev1Tech, a Woodbridge, VA-based provider of information technology, cybersecurity, cloud, and program management support services to the federal government. 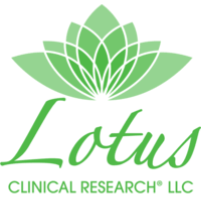 Other Fund V investments include Lotus Clinical Research, a Pasadena, CA-based pain-focused clinical research organization and clinical site business (November 2018); Restoration & Recovery, a Durham, NC-based provider of mobile inspection, maintenance and repair of stormwater systems (June 2018); ReSource Pro, a New York, NY-based provider of business process management and analytics services to the insurance industry (April 2018); Envocore, a Gambrills, MD-based provider of lighting and water efficiency retrofit services for government, university, school and hospital facilities (June 2017); Saol Therapeutics, a Roswell, GA-based specialty pharmaceutical company focused on rare and orphan diseases (February 2017); and Children’s Dental Health Associates, a Malvern, PA-based provider of management and support services to pediatric dentists (December 2016). DFW’s fourth fund remains invested in four companies: Sebela Pharmaceutical, a specialty pharmaceutical company; Insight2Profit, a provider of price optimization technology and consulting services; TheraPlay, a provider of free-standing and contract-based pediatric therapy services; and Superior Controls, a provider of automation and control systems integration and engineering services focused on the biotech industry. DFW is headquartered in Teaneck, NJ, and has an additional office in Chevy Chase, MD (www.dfwcapital.com).